DeskCover 1.3 – Make your Desktop less distracting. Next story Navicat for MariaDB 12.0.22 – MariaDB administration and development. Previous story Adobe Premiere Pro CC 2018 12.0.1 – Digital video editing tool. 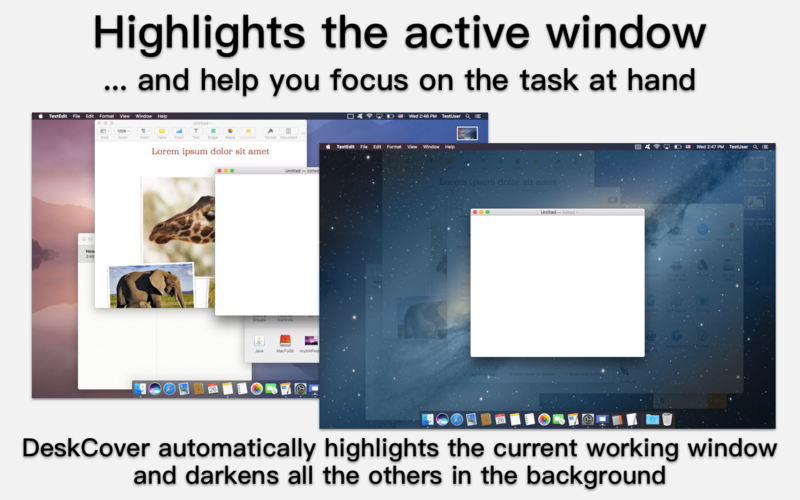 iCollections 4.0.1 – Organize your desktop icons. UnDistracted 1.7.2 – Turn off everything that distracts you.